Rochester News | Rochester Area Economic Development, Inc.
Rochester, MN (August 21, 2018) – After one year, since its official launch, the Southeast Minnesota Capital Fund LLC (Fund) has reached its $2,000,000 funding goal and closed its fifth investment in Rochester-based Ambient Clinical Analytics. “For our community, having an active new business fund is very important because we are helping attract and retain companies that will create good paying jobs in our region,” said Joselyn Raymundo, a member of the Fund and a Founder/CEO of Rochester Home Infusion. The Fund launched in August 2017 with $775,000 and 25 investors. Due to strong investor interest, Fund members voted in January 2018 to set a new fund target of $2 million. With the target now reached, thanks to the commitment of 56 investors, the Fund is the largest in southeast Minnesota. While not geographically limited, most of the investments to date have been in southeast Minnesota with one investment in Minneapolis. The Fund has invested a total of $500,000 in the following companies: Sonex Health, Oculogica, Vyriad, Geneticure, and now Ambient Clinical Analytics. Congratulations to Vyriad! The biotechnology company recently announced the signing of a contract to build out its facility in 25,000 square feet of leased space on the IBM Campus in Rochester, Minnesota. The building plans include offices, research laboratories, and a state-of-the-art Good Manufacturing Practice (GMP) facility for production of the company’s clinical-stage oncolytic virus therapies that are in development for the treatment of various cancers. The custom build out will be financed with proceeds from a recently completed $9 million secured convertible note financing, which included participation by Mayo Clinic, Rochester Area Economic Development, Inc., and the Southeast Minnesota Capital Fund LLC. In addition, the state of Minnesota and the city of Rochester have committed $370,000 in equipment funding. David Herbert, SEMCF Chair, and Aaron Keenan, CFO & Co-Founder of Sonex Health LLC. Rochester, MN – Just six months from its launch, the Southeast Minnesota Capital Fund LLC (SEMCF) is pleased to announce it has made its first two investments: Rochester-based Sonex Health and Minneapolis-based Oculogica. “Our investors are incredibly excited to make our first investments in these two companies. They have unique solutions for carpal tunnel repair and concussion diagnosis and show great promise for growth, job creation and an interest in staying in our region and state,” said David Herbert, SEMCF Chair. “We are very grateful for the trust and shared vision demonstrated through this investment from the SEMCF. 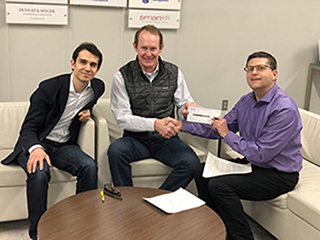 We are confident that this relationship will help us achieve great strides in providing a better treatment option for patients with carpal tunnel syndrome.” said Dr. Darryl Barnes, CEO and Co-Founder of Sonex Health LLC. “Oculogica is thrilled to be one of the initial investments of the Southeast MN Capital Fund. We are excited to have their wealth of relevant knowledge and valuable network supporting our efforts,” said Rosina Samadani, CEO of Oculogica Inc. The Southeast Minnesota Capital Fund (SEMCF) launched in August 2017 with $775,000 and 25 investors and has grown to $1,400,000 and 41 investors since that time. Investor interest has been strong and fund members recently voted to expand the fund to $2 million. Interested new investors are encouraged to contact Xavier Frigola at smcfexec@gmail.com, soon, since the fund will close to new investors when it reaches its $2 million goal or June 30, 2018, whichever comes first. 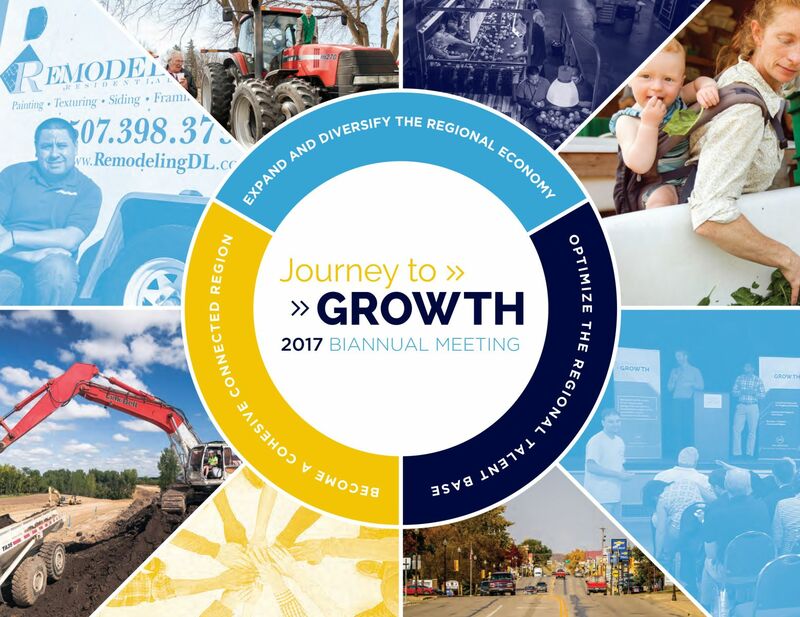 SEMCF was created by Rochester Area Economic Development, Inc. (RAEDI), and spearheaded by its Journey to Growth regional economic development plan. SEMCF will help support the growing number of new companies in our area that have the potential to deliver significant returns. “We expect to see many medical and information technology opportunities,” said L.J. Johnson, SEMCF Vice Chair, “but we are also watching for worthwhile investments in other fields that are strong in our area, like agriculture, manufacturing and service businesses.” While not geographically limited, the primary investment focus of the fund will be the southeast Minnesota region. 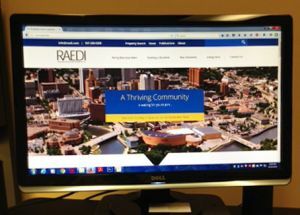 Rochester, MN – Rochester Area Economic Development, Inc. (RAEDI) is pleased to announce that the Rochester Economic Development Fund (EDF) it administers has invested over $1.5 million in 15 companies over the last 5 years. Fund companies have raised an additional $61 million, much of which has come from outside of the Rochester area. This is 44 times the amount of EDF support provided. The $5 million, city-funded loan program was launched in 2012 and is administered by RAEDI to assist companies who show promise for bringing new dollars into the area economy and create high paying jobs. During 2017, the fund supported four new companies: biotech Vyriad, medical device Craniovation, laboratory equipment Smart LabHood Solutions, and music company Spark DJ for a combined total of $240,000. Vyriad Inc. is a biotechnology company that uses viruses to treat cancers while not affecting the healthy tissue. Vyriad is planning to build a manufacturing facility in Rochester at the IBM campus with plans to employ at least 30 people by 2019. Craniovation Inc. is a medical device company who has developed an innovative solution to treat aggressive brain tumors using light delivered via a minimally invasive device allowing patients to avoid undergoing invasive brain surgery. Smart LabHood Solutions Inc. manufactures and sells the EcoDenser, a laboratory head exchanger that retrofits existing laboratory fume hoods and dramatically reduces laboratory water waste. Spark DJ Inc. is a music technology startup that replaces disk-jockeys (DJs) with technology utilizing an on-demand software service that has artificial intelligence to manage the music component of your party in real-time including managing song requests, seamlessly transitioning music, and live curating playlists. “We couldn’t be more pleased with the positive impact of the Rochester Economic Development Fund to our local economy. Being the first investors allows us to have a greater chance to retain companies in Rochester. In return, fund companies are investing in Rochester where almost 100 jobs have resulted. 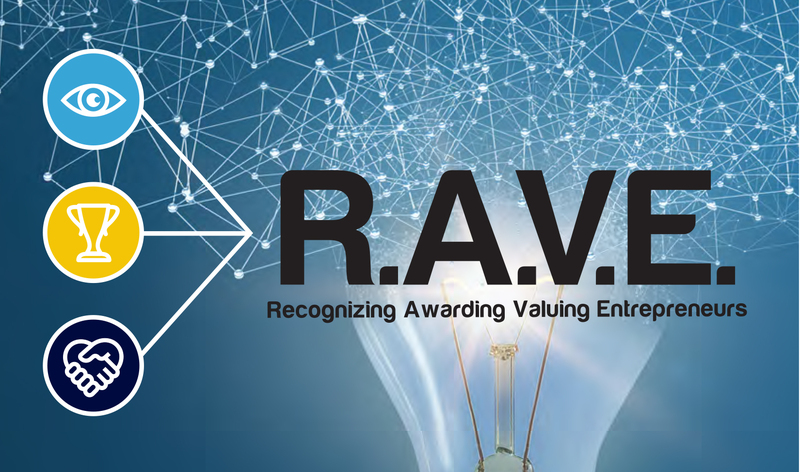 The potential for their real growth lies ahead of them,” said Xavier Frigola, RAEDI’s Director of Entrepreneurial Programs and a manager of the Fund. Companies, combined to-date, have created 80 jobs. Fund companies currently occupy almost 48,000 square-feet of space in Rochester, and 56% of these companies are women or minority-owned with 67% having product sales. “The EDF funding came at a critical moment for Spark DJ. It allowed us to finish the development of our product, launch, and generate revenue. EDF was key for us to solidify our presence in Rochester, and we encourage local entrepreneurs to consider exploring this funding source,” said James Jones Jr., co-founder and CEO of Spark DJ. Companies based in Rochester that mainly sell their goods/services outside of Rochester can apply for funding by contacting RAEDI. In the spirit of celebrating Global Entrepreneurship Week, Journey to Growth, RAEDI and 504 Corporation invite you to help us recognize entrepreneurs in our region on Friday, November 17, 2017, from 4:00 - 6:00 p.m. at the DoubleTree by Hilton. Sponsorships are available. Contact Rochester Area Economic Development, Inc. (RAEDI) at 507-288-0208 for more information. Rochester, MN – The Southern Minnesota Initiative Foundation (SMIF) is the latest group to invest in the Southeast Minnesota Capital Fund, raising commitments to the fund to $1 million. The fund, created by Rochester Area Economic Development, Inc. (RAEDI), and spearheaded by Journey to Growth (J2G), is funded by a group of angel investors who will help support the growing number of startup companies in the medical and technology fields who have the potential to deliver significant returns. While not geographically limited, the primary investment focus of the fund will be the southeast Minnesota region. “It is an honor to announce that SMIF has joined the investors in the Southeast Minnesota Capital Fund. We are also thrilled that their investment is putting the fund over the $1M mark,” said Xavier Frigola of RAEDI and Secretary/Treasurer of the Fund. SMIF, through their existing seed and equity funds, has been a partner to numerous southeast Minnesota-based companies. By investing in the Southeast Minnesota Capital Fund, SMIF will now be able to expand their impact on the region and the fund will have access to SMIF’s expertise and opportunity pipeline. “SMIF has long seen the need for additional equity dollars to help new businesses start and grow here in our region and that is why we created our own equity fund a couple years ago. We are pleased to now contribute to the Southeast Minnesota Capital Fund and look forward to future opportunities to partner on equity investments,” said Tim Penny, President and CEO of SMIF. Editor’s note: Minnesota Snapshot reports interesting sales and development projects happening throughout Minnesota. The transactions are based on the certificates of real estate value filed with the state Department of Revenue, copies of which are available with the story at finance-commerce.com. Other items may come from government agendas and news releases. Rochester, Minnesota, is best known for the huge impact that Mayo Clinic and technology companies have in expanding its economy. That economy also is growing because the greater Rochester area has 300 manufacturing and distribution companies, according to Rochester Area Economic Development Inc., also known as RAEDI. 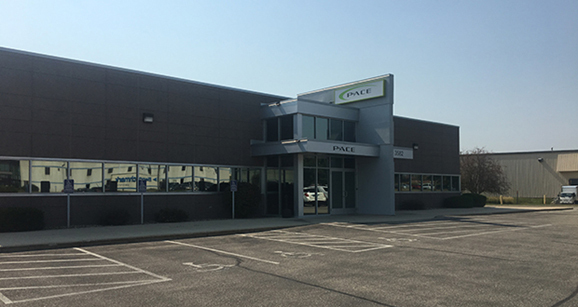 Take Pace International Inc., a family-owned distribution company headquartered at 3582 Technology Drive NW. The 45-year-old company, which built its current facility in 2005, is about to invest $1.95 million in two additions, adding a total of 18,000 square feet to its 48,160-square-foot plant. The 9,000-square-foot addition on the northeast side of the complex is going to double the company’s office space, and the addition along the eastern side will create more room in the warehouse. “We’ve been thinking about it for over a year,” said Tim Deutsch, plant manager and part of the third generation in the family in leadership roles in the company. He expects the new space will let the company hire up to 22 workers during the next three years, boosting its payroll to more than 100 employees in town. It also employs eight people in its retail store in Gordonsville, Minnesota. Tim Deutsch credits Rochester Area Economic Development President Gary Smith with helping the family cover the cost of the expansion. “He gave us a rundown of different options,” Tim Deutsch said. After researching the possibilities, Smith recommended the Minnesota Job Creation Fund, launched in 2014 through the state’s Department of Employment and Economic Development. The Job Creation Fund is available for companies that plan to add at least 10 full-time jobs and invest at least $500,000 in their businesses. So far, DEED reports that participating companies have planned to invest $923.8 million and pledged a total of 4,338 jobs. The companies receive the aid only after they fulfill those pledges. If Pace completes the additions and adds the new jobs, it will receive $196,000. Smaller companies like Pace are important to the economy, said Smith. “What they add is diversification,” he said. Having a broad variety of companies provides a cushion when there’s a downturn, especially when the downturn comes in one part of the economy. So, what does Pace do? That’s evolved during the last four decades. “Grandfather started the company in 1972 as a distributor for TV repair parts,” Tim Deutsch said. The televisions, record players and other appliances of Jim Deutsch’s early days are long gone. The founder died in 1999 but his son and current CEO Patrick Deutsch, along with Patrick’s sons, Tim and Eric, have adapted to new technology. The company now is the exclusive national distributor of DISH network equipment and content to private cable installers. It also sells satellite television reception equipment to recreational vehicle dealers and owners. “The RV market has continued to grow,” Tim Deutsch said. With people shifting to receiving content online, the company has expanded into routers and other wireless reception equipment. “Five years from now we’ll probably be doing something completely different,” Tim Deutsch said. 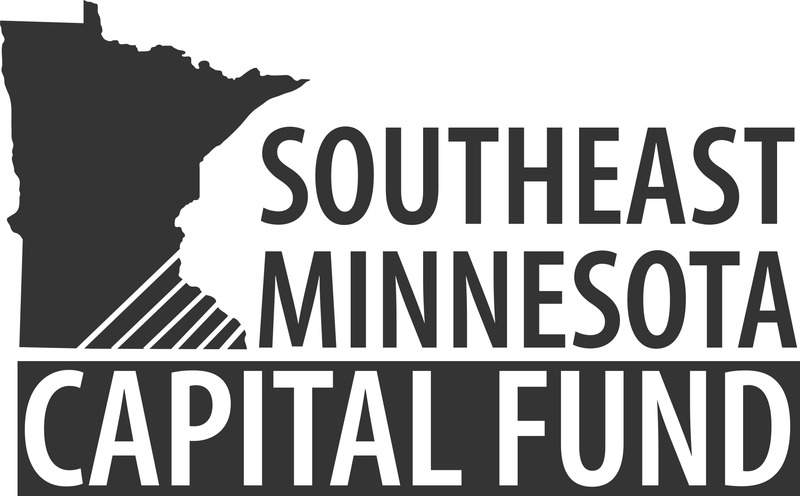 After months of planning and behind the scenes efforts, the Southeast Minnesota Capital Fund LLC launched on August 16, 2017. The fund, created by Rochester Area Economic Development, Inc. (RAEDI), and spearheaded by Journey to Growth (J2G), is funded by a group of 25 angel investors who will help support the growing number of startup companies in the medical and technology fields who have the potential to deliver significant returns. While not geographically limited, the primary investment focus of the fund will be the southeast Minnesota region. For more information on the Southeast Minnesota Capital Fund or to become an investor, contact the RAEDI office at 507-288-0208. The We Are More (WAM) Traveling Photo Exhibition will hold an opening reception at Augsburg College located at Bethel Lutheran Church in Rochester on Tuesday, April 18th, 2017, from 5-7 p.m. Individuals can register to attend the reception through Eventbrite at http://bit.ly/2nAUoff. Guests will have the opportunity to preview the exhibit, network, and enjoy refreshments. The exhibition will start at Augsburg College located in Bethel Lutheran Church and then move to the Rochester International Airport before traveling onto host cities including Kasson, Owatonna, Chatfield, Winona, and Lake City. The exhibit will travel back to Rochester to the Rochester Art Center and wrap up with a closing reception at Mayo Clinic in Phillips Hall on June 22, 2017, from 5:30-7 p.m. 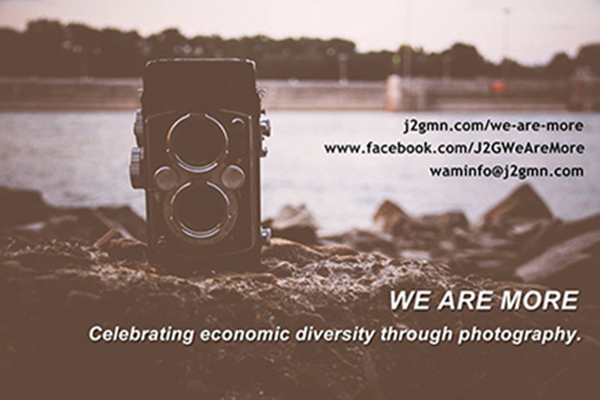 The WAM traveling installation is a collection of four feet by six feet photographs showcasing, celebrating, and creating conversations about the benefits of diversity and inclusion in southeastern Minnesota’s regional economy. 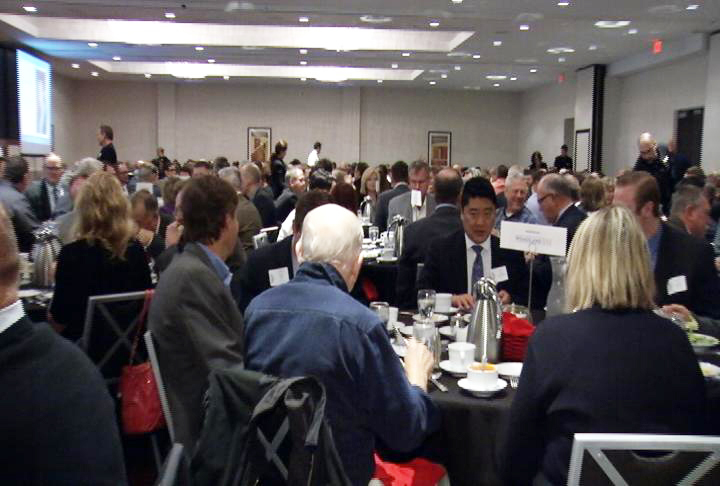 “Through sharing our economic diversity, we hope to spark conversation and foster a greater acceptance of diversity and inclusion in the areas of economic development within the southeast Minnesota region,” said Barbara Jordan, J2G Diversity and Inclusion Co-Chair. “Diversity is central to the vitality of Southeast Minnesota. These areas, sectors, and places, where we all work in and benefit from, are made up of men, women, youth, and elders with an expansive diversity of experiences, identities, backgrounds, and voices. This is what we talk about when we think diversity and inclusion and this is what the “We Are More” (WAM) traveling photography exhibition is all about,” said Rebeca Sedarski, J2G Diversity and Inclusion Co-Chair. Businesses, organizations, individuals, and photographers from throughout the region submitted photographs. WAM will travel from April 17 - June 22, 2017. For a complete tour schedule and more information about the WAM Tour, visit the Journey to Growth website or like the We Are More (WAM) Facebook Page. RAEDI rolled out a new website developed by Corporate Web Services (CWS) in Rochester at a launch party on Tuesday, August 23, 2016. RAEDI staff and board members were on hand at CWS to view the launch. 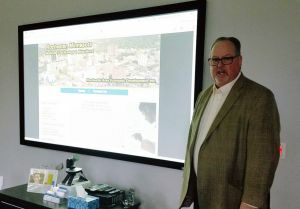 President Gary Smith spoke to the group and highlighted some of the new features on the website including the addition of a Property Search tool now available to businesses looking for property around the Rochester area. Finance & Commerce featured the Rochester Economic Development Fund that RAEDI administers on behalf of the city of Rochester in its August 8, 2016, edition. Economic development fund participant, Mike Rolih of GoRout, was also highlighted in the article. Read more. Rochester Area Economic Development Inc. has invested almost $100,000 from a sales tax fund in two promising young businesses. The recipients are a maker of on-field football technology called GoRout LLC and a health-care information platform called Hunhu Healthcare, Inc.
Rochester Area Economic Development, Inc. (RAEDI) value proposition is the ability to assist businesses and entrepreneurs in securing the private and/or public resources needed to execute their business plans. RAEDI is pleased to assist you with your request. Please call 507-288-0208, email info@raedi.com, or fill out the form below.